Find out what kind of research is being done across Keio’s campuses. Mita Campus is home to the undergraduate faculties of the humanities and social sciences (mainly years 3 and 4), six graduate schools, and an array of independent research facilities. 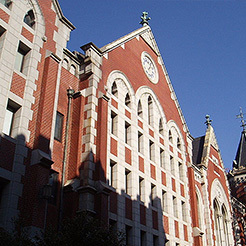 Hiyoshi Campus is home to the undergraduate faculties of the humanities, social sciences, and natural sciences (mainly years 1 and 2), as well as three graduate schools and other research facilities. These two campuses form the core of Keio’s comprehensive research practices. 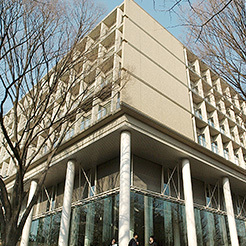 Yagami Campus is home to the Faculty of Science and Technology and the Graduate School of Science and Technology. Championing the concept of “emergence,” multifaceted research is conducted more freely in an interdisciplinary approach that defies boundaries. Rather than focusing on learning about the cutting-edge, education at Yagami focuses on helping shape the cutting-edge in order to create leaders who will effect positive change in society. 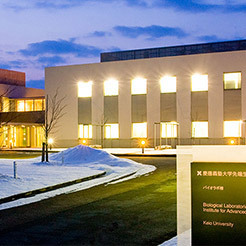 The Keio Leading-edge Laboratory of Science and Technology (KLL) was established in April 2000 within the Graduate School of Science and Technology, and aims to contribute to the development of global science and technology. KLL coordinates joint and commissioned research and offers support services regarding research contracts. It also serves as the dynamic focal point for promoting collaboration between business, government, and public circles to give back to society through research. 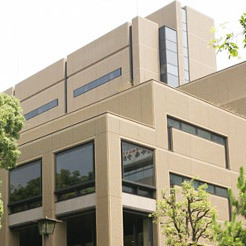 Shinanomachi Campus is home to the comprehensive medical education, research, and health care that we call Keio Medicine. The campus consists of the School of Medicine (years 2 through 6), the Faculty of Nursing and Medical Care (year 3), and the Graduate School of Medicine, as well as the Keio University Hospital. The Center for Integrated Medical Research is involved in the development of a wide range of integrated studies, with the goal of passing on the results to the rest of society. The Research Park lends out space for fixed-term research projects, and is a hub for strategic, integrated research units, drawing from multiple discipline pairs: basic and clinical, undergraduate and graduate, academic and industrial, institutional and national. The Clinical and Translational Research Center, which facilitates the clinical development of intra- and extramural candidates derived from basic research in laboratories in order to deliver them to bedside without delay. 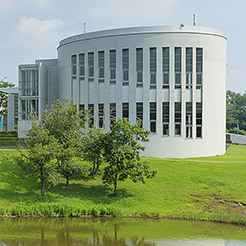 Shonan Fujisawa Campus (SFC), Keio’s fifth campus, opened in 1990 and has become a developmental site for innovative approaches to education and research. Three faculties and two graduate schools are based here. The three faculties are the Faculty of Policy Management, the Faculty of Environment and Information Studies, and the Faculty of Nursing and Medical Care. The two graduate schools are the Graduate School of Media and Governance, which focuses on forward-thinking education, and the Graduate School of Health Management, which tackles the challenge of improving human health using the natural and social sciences. SFC is a progressive campus where over 300,000 square meters of lush greenery harmonizes with the latest in technology. The curriculum focuses on the acquisition of professional knowledge and skills through active participation. The Faculty of Pharmacy was established in 2008 through a merger with Kyoritsu University of Pharmacy. All facilities are still located at the Shiba-Kyoritsu Campus near Shiba Park in the Minato ward of Tokyo. Over its nearly 80-year history, Kyoritsu University of Pharmacy produced over 13,000 pharmacists and pharmaceutical scientists. Combining that legacy with the strengths of Keio University has created new platforms for education and research, as well as social contribution, that will allow Keio to shape the future of pharmacy. Shin-Kawasaki (K²) Town Campus, established in the spring of 2000 by Keio University in partnership with Kawasaki City, is focused on research and development projects aimed at the industrialization or commercialization of cutting-edge technology with the potential to strongly impact social innovation. 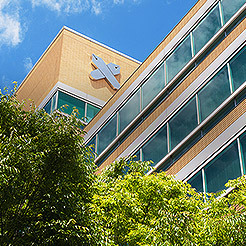 K², read “K-Squared,” was the inspiration for the Shin-Kawasaki Frontier Research & Education Collaborative Square, a center for industry-academia-government collaboration, for promoting cutting-edge research and science education, and for developing various businesses for the purpose of promoting new industries and new businesses and contributing to society and local communities. 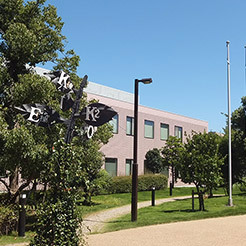 The green, 2-hectare campus is home to four two-story research buildings and the K2 House, where close to 400 graduate students and researchers work around the clock to push to limits of technology. 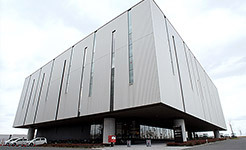 Keio University opened its Tonomachi Town Campus in April 2016 inside the Kawasaki Life Science & Environment Research Center (LiSE) at Kawasaki King Skyfront, an innovation hub in Kawasaki that connects corporate and academic partners throughout science and industry. Tonomoachi Town Campus will serve as a core facility to promote innovative transdisciplinary research in the Keio Longevity Initiative as well as the wellbeing research under initiatives by the Japan Science and Technology Agency (JST). Tsuruoka Town Campus of Keio (TTCK), established in the spring of 2001 in collaboration with Yamagata Prefecture and the Shonai area. 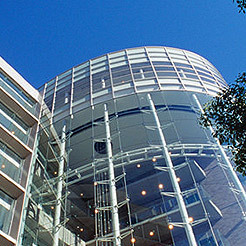 The heart of the campus is the Institute for Advanced Biosciences (IAB). IAB research takes place at two locations on campus, the Campus Center and the Biological Laboratories. The leading-edge research at TTCK is done in close cooperation with our other campuses to lead education and research development in our highly specialized fields. The overarching mission of TTCK is to raise the scientific technology standards of Japan through knowledge transfer of research and cooperation between industry, academia, and government.